U1000 is the next generation communication device. It is the world first 3.5G HSDPA capable Windows Mobile mini tablet. Coming with Quadband GSM, Triband WCDMA, HSDPA and high-speed WiFi (802.11g) support, the U1000 is the device to carry if you need to stay connected at all times. 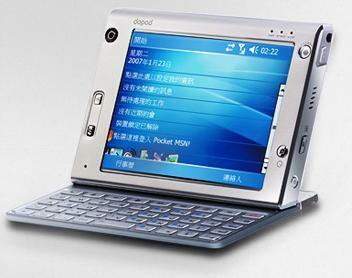 With its 5” LCD touch screen, magnetic attached QWERTY keyboard, light weight design, long battery life and its photo navigation system, it became one of the most mobility and most user friendly mini tablet.